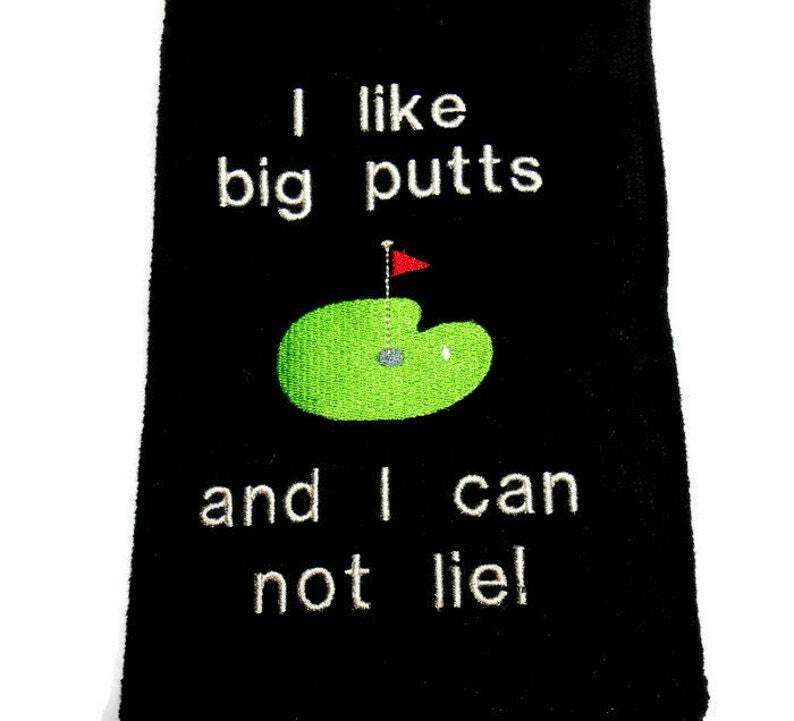 This golf towel is a great gift for the golfer with a sense of humor. Premium quality golf towel made of 100% cotton with plush velour finish. The design features a putting green with the words, I like big putts and I cannot lie! The design measures approximately 7 X 4.25 inches. The thread color on the wording is white, but I'm more than happy to use a color of your choosing. This tri fold, 100% cotton terry, 2-ply yarn velour golf towel is shown here in black. The text colors are gold, white, and red. You are welcome to customize thread colors, if you'd like. Just send me a message through the listing. Also available in forest green and black. This is a new product line for the shop with more designs and colors to come.